Some might think me odd, but I think soft furnishings are just as important in the garden as they are in the home. With all this glorious warm weather there’s nothing I like more than enjoying our garden (glass of Pimm’s in hand compulsory!) during the day and evening, even more so with friends. 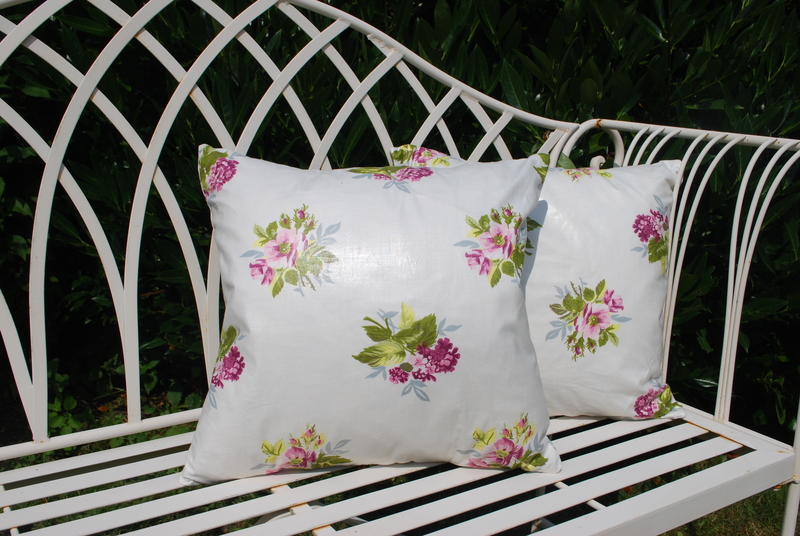 I’ve a range of cushions I’ve made just for our outdoor space for us and visitors to relax back on. These vintage fabric envelope backed cushions with high quality feather inserts are priced at £25 (plus P&P if applicable) each. Contact me for details.